During the winter months riders usually hit the frozen ponds in the area or attend the very popular Winter Series @(SDR) trying to stay in shape for the summer season, but with the mild winter most of the ice racing has been limited except for a couple of indoor shows and an outdoor race this past weekend. With Daytona Bike Week 2102 coming up in March, some riders will migrate south for the festivities in Florida. 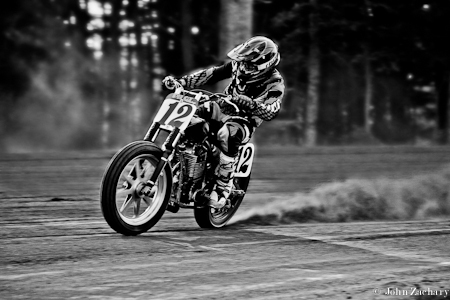 AMA kicks off their Flat Track season at the Daytona Short Track, for some handle bar to handle bar racing. This will give the locals from Upstate NY a chance to run against the best riders in the country. 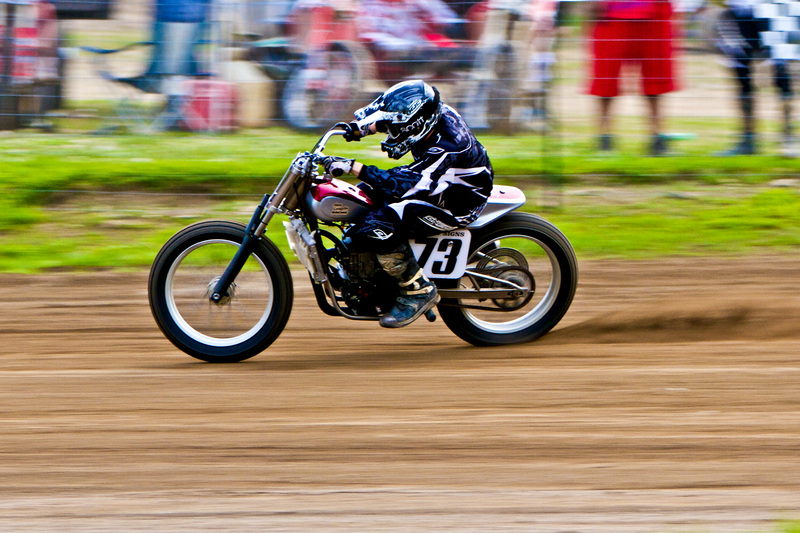 Square Deal Riders kicks off their Flat Track 2012 season May 5. I know I am looking forward to that first race in Port Crane, NY. The season ends this year on September 15 with the show stopping Aaron Creamer Memorial Race. This race always brings out the big names and helps the locals run a little bit harder looking to take home the cool trophy. The Quads take the spot light for their annual Quad Championship on June ,2. Bring your friends to watch these Four Wheel Mad Men battle for the allusive Championship Crown. Dungey Snaps The Champs Win Streak.